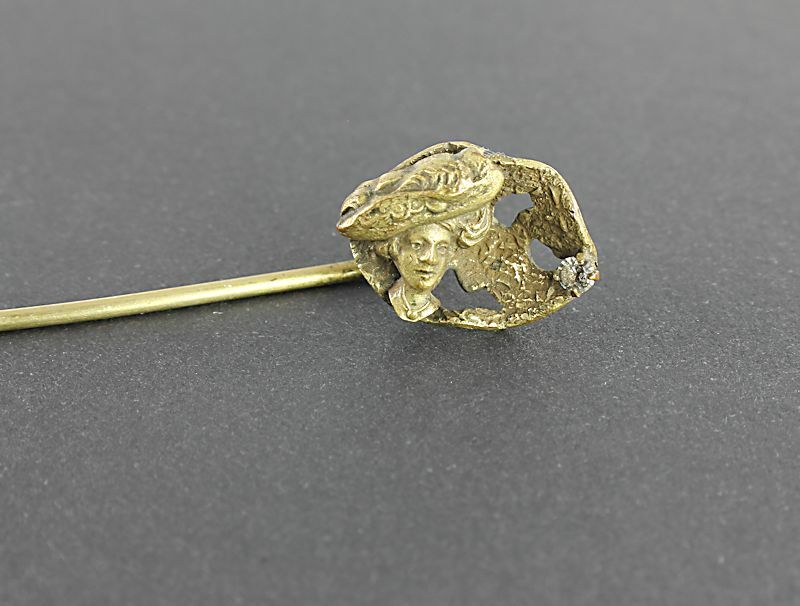 Antique Victorian stick pin with a three dimensional design. 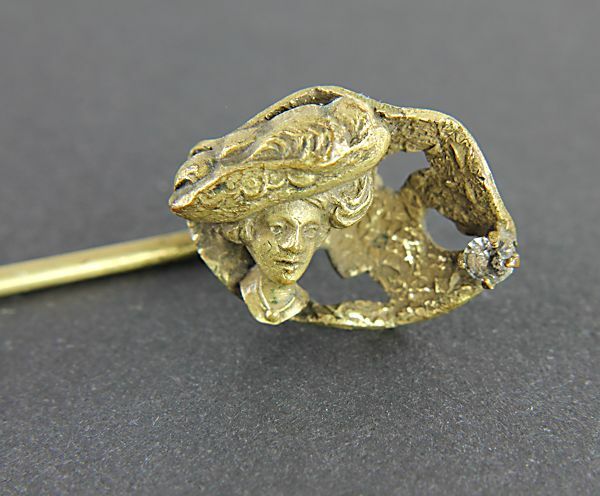 It seems to be made of brass which I did not polish, just gently cleaned. The woman’s face and hat are elaborate in detail, you can even see her plumed brim and her necklace. The tiny rhinestone accent is black but in my opinion this does not influence too much the overall look of the piece. 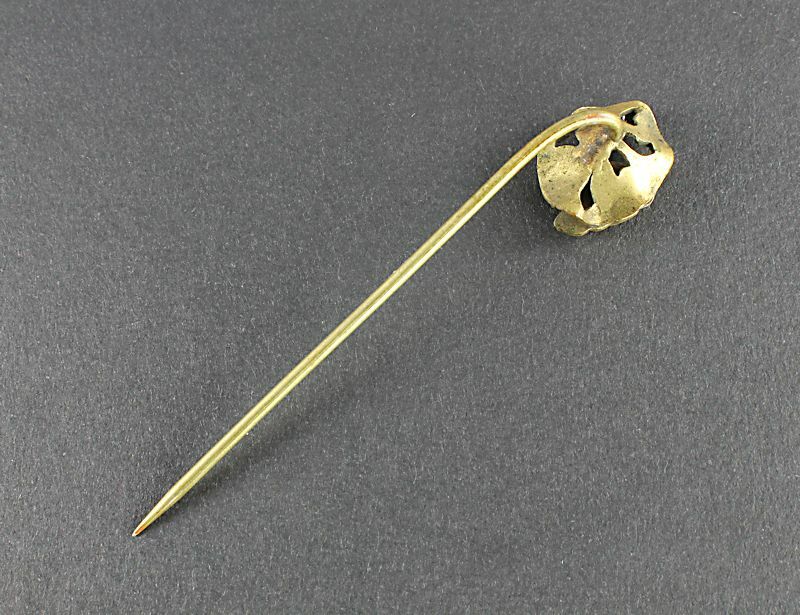 Top of the pin measures 11/16 inches by 1/2 inch by 5/16 inches. 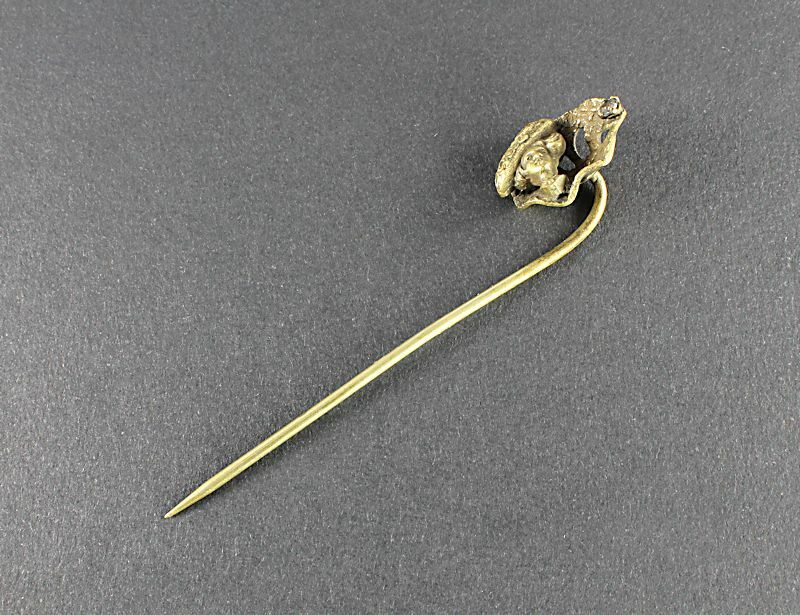 The entire pin is 2 3/4 inches long. Late 1800s.